They started working together when Michael Phelps was just a boy. 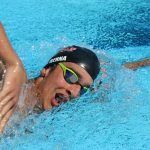 At age 11, Bowman sat Phelps down with his mother and told them that they could do something special in the sport of swimming. Bowman laid out what he thought Phelps was capable of, sending a thousand dreams of Olympic gold shooting into the sky. Four years later, Phelps would qualify for the US Olympic team going to the Sydney Olympics, where he’d place fifth in the 200m butterfly. From there it was Athens, and then his penultimate achievement, the 8-gold medals in Beijing, and two swan-song performances in London and Rio. 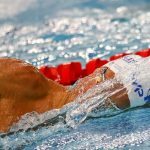 The total is something swimmers and coaches know well enough: 28 Olympic medals. The road to success was by no means easy for the duo. We look at the gold medals, the teary farewells, the hugs pool-side, the quiet moments of steely determination before races, and can be tempted into thinking that coaching the world’s greatest swimmer was easy. A gift. A walk in the park. For all of their successes in the water there was the conflict and grinding-of-teeth outside of it. Demanding excellence and more, more, more is bound to create push-back, no matter how motivated and talented the athlete. There was always another level for Michael to achieve. Of course, there were also Michael’s out-of-the-pool antics that had him suspended by USA Swimming (the bong picture), and twice arrested for driving under the influence. Through it all, their partnership remained intact. Phelps and Bowman were far more than just swimmer and coach, over two decades they have become business partners and friends. Unlike many elite athletes who bounce from program to program looking for an edge or even just to reclaim what they once had, Phelps and Bowman were consistently together over the years. 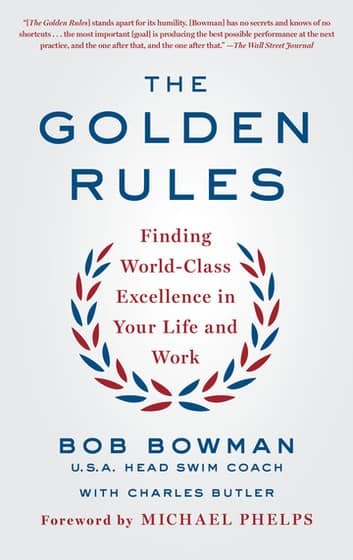 Over the course of his book “The Golden Rules: 10 Steps to World-Class Excellence in Your Life and Work” (Amazon) Bowman breaks down the exact program (not sets and workouts, but a set of steps to excellence) that he used not only with Michael, but in developing other world-class swimmers. While the book is about swim coaching and swimmers, the rules apply to all walks of life. The stories that flesh out each of his rules may be rooted in competitive swimming and be most relevant to those who toil around the black line, but Bowman goes to great pains over the course of the book to illustrate how the rules have examples in fields other than swimming (he cites the cast of Saturday Night Live and some of our recent tech giants, for instance). 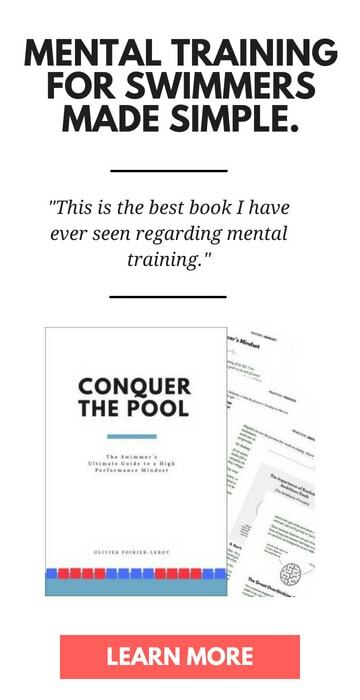 In other words, you don’t need to be a chlorinated athlete to get a serious amount of value from this book. Lock down your focus on what you want to achieve. Dreaming about big goals is a lot of fun. Imagining ourselves performing at a gangster level in the water, crashing into the wall first, smashing that personal best time, swimming faster than anyone thought imaginable, is really enjoyable. 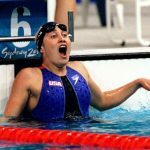 Dreaming the dream is exhilarating—after all, we visualize the experience and get a taste of what it will feel like—but it’s also where a lot of swimmers stop short. The goal will be top of mind for a few workouts, but soon enough we get distracted, fall off our path, and abandon our dream. If it’s something you want to achieve, don’t let it slip from your focus. Success happens in the dark. We are all chasing the bright lights, the record books, the podium, and the recognition that comes with swimming at a high level. But long before we step up on the block, or that last big breath as you crouch into position to explode off the start, there is the training in the dark. Whatever success you end up chasing and achieving, it is built quietly each day in practice, bit by bit, lap by lap, stroke by stroke. The success you create under the bright lights at the championship meet is created over the course of a long series of relatively boring sets and workouts over months and years. Ya know what is more motivational and more satisfying than seeing improvement and progress in the water? Not much, if anything. The power of progression is so powerful that we can lose a race, or get beaten by the competition, but if we went a best time we can still walk away feeling satisfied. The key to epic levels of improvement is to not sit back and coast when you experience a jolt of forward movement. Double down by reinforcing what works while seeking out new opportunities to improve. Progress never stops, and neither should you. Have a vision for where you want to go. We’ve all done the goal setting thing where we write down the time that we want to swim and post it somewhere so that we have to see it regularly. On the fridge is a great spot (reminds you to eat like a champion), beside your bed is another solid choice (helps get you out from under the sheets for those early mornings), and even written in code on your equipment (like Katie Ledecky did with her goal times for the 400 and 800m freestyles in 2016). This goal—or the vision—motivates us. Lights a fire in our belly and reminds us of the necessity of achieving excellence in our daily activities in order to see excellence on race day. Bring the pain: be willing to do more than the competition. One of the famous stories of Phelps is the five years of straight training. No missed days. Not one. Birthdays, holidays, even Christmas—all were earmarked for training. The result was the 8-gold medal winning performance in Beijing. This mindset is critical if you expect to achieve more than everyone else who are already working hard, who are already showing up to all the practices, and who are pushing themselves to the limit. To become a champion you must rethink what is possible and strive relentlessly to exceed your limits. Master the process; the results will come. Bowman places great emphasis on athletes working towards goals they ultimately have control over (a time over a placing, for instance). If you want to win state champs, a more effective and ultimately motivating goal would be to pick a time that you feel will win gold for you and strive for that. Layer your big goals with shorter term goals. While the big dream can fuel us most days, it’s the short-term goals that are truly the nuts and bolts of that championship season. For instance, even as a youngster Phelps was shown to set big goals, but then to also outline what he would do in order to achieve them. It’s not enough to say that you want to do something big, it’s imperative that you also set the road posts and smaller milestones along the way. 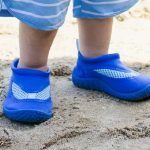 They will help keep you on track and give you something to focus on during the long stretches of training. The short-term goals have another important function, they teach you to set better and better goals. This may mean having to recalibrate your expectations at times (“Whaddya mean I’m not gonna drop 10 seconds on my 100m freestyle best time with four weeks of hard training?!”). One of the things that I didn’t like about report cards in school (besides the white-knuckle waiting game to see how well or badly a class went) was that the grades and the feedback inside were only given after the fact and at the end of the semester. Bring the noise every day. Excellence doesn’t take a day off. Your history as a swimmer should give you confidence. I’ve talked countless times about the power of logging your workouts. Besides being an inventory of meters, yards and sets, it’s also a history of the moments in your training where you smashed through. Bowman, when things fall apart in training, will refer back to his workouts where his swimmers were successful. 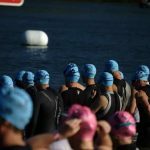 Your log book is more than a history of workouts: it should also provide you with guidance and confidence on days where things aren’t where they should be in the water. For Bowman, being a champion swimmer is more than talent or ability, it’s the whole package. Effort. Attitude. Being a supportive teammate. And it’s not always going to be easy. How to use failure to light the fire of success. While our big goals are these bright, shiny and generally perfect outcomes, the path to that moment is anything but. It’s going to be littered with setbacks, disappointments, and failures. And while it can be really hard to keep a brave and confidant face when up against unexpected adversity, it’s these moments that will make you a champion, not the times where it’s easy and everything is going your way. Part one: find solutions to the things that are up against you. Injured? Get to work on the rehab plan and follow it to the letter. Competition crushed you on the start? Sit down with your coach and write out a plan to improve your reaction time and distance off the blocks. You can sit back and wallow in self-pity, or you can use adversity as a springboard for smarter training moving ahead. Part two: light the fires. Setbacks and adversity can crush your motivation, or they can enrage and inflame it. 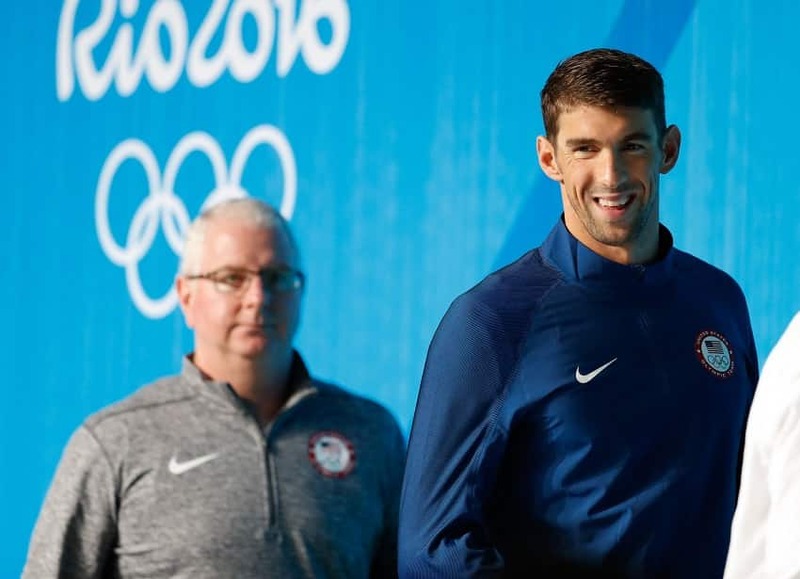 With Phelps, Bowman knew that all he had to do was share a newspaper article about another swimmer talking smack about Phelps’ goals to get him focused and highly motivated. When things go south on you, get mad and ask yourself, How can I make this the best thing to ever happen to me? 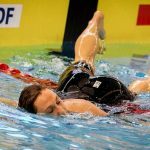 We all know the plight of the Practice Swimmer: the athlete who can crush and chew up the yardage in training but struggle mightily when the pressure is cranked up in competition. 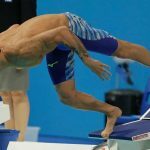 For most of these (poor) swimmers, it’s a matter of not being able to adjust to the change in pressure from low (in practice) to high (in competition). 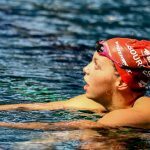 One way to inoculate the Practice Swimmer from choking under the weight of high expectations is to turn up the pressure in training from time to time. This can include get out swims, teammates racing against each other, and so on. 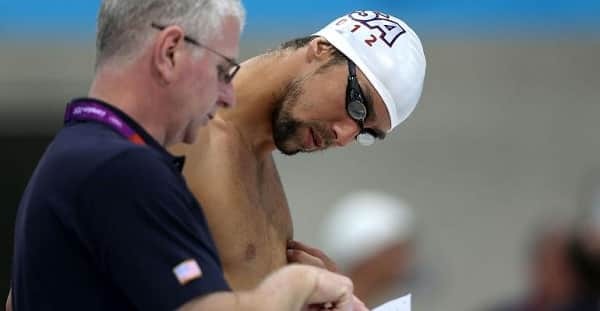 Bowman regularly challenges his swimmers (including having purposely broken Phelps’ goggles before a race at a World Cup meet to see how Phelps would react—something that would come in handy in Beijing when his goggles filled up with water in the 200m butterfly). Acknowledge and celebrate the wins. We can get so caught up in the Big Goal that we forget to stop and smell the roses (and the Little Goals) along the way. This is a dangerous attitude to have on a few different levels: it places an inordinate amount of pressure on the outcome, attaches all enjoyment and meaning to that final result, and frankly, makes for a struggley and unenjoyable journey. At the end of the day, whatever happens with your Big Goal, it’s only a race, or a medal, or a result. As cliché as it is, the journey and the process are the good stuff. It’s what you take with you when it’s all said and done. Don’t forget to enjoy it along the way.